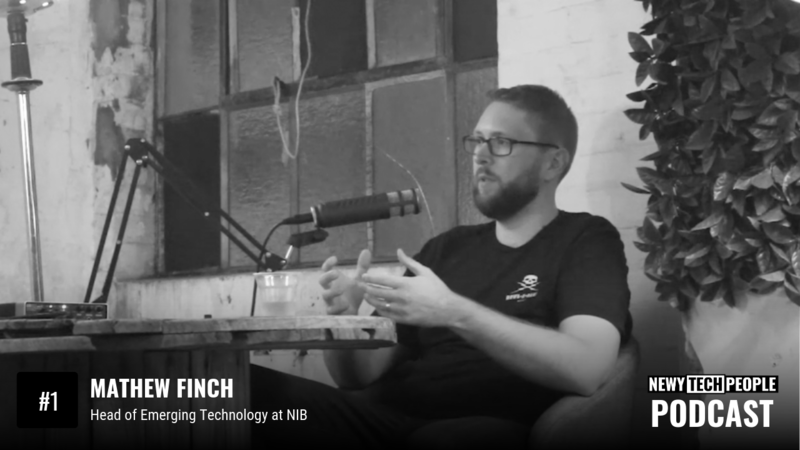 The guest for episode one is Mathew Finch, the current Head of Emerging Technology at NIB in Newcastle. I was keen to interview Mat as guest number one of this podcast as he’s a perfect example of someone growing their technology career in Newcastle and having success doing so. Mat and the team at NIB have had some key successes of late with Mat earlier this year having the opportunity to present on their work and culture at the AWS Summit in Sydney. Mat’s presentation is available to watch online here. We don’t get super technical in our conversational (as that information can be found from his presentation), but Mat gives an insight into his opinion on the importance of education for a technology professional as well as other resources that Mat has used to help him succeed in his career. We also dig into the current state of the Newcastle technology scene and gets Mat’s opinion on what we need to continue the growth. If anyone has any questions they’d like to ask Mat about his comments from this episode, or the work that he is doing at NIB he has said he is more than willing to have a conversation and help where he can. Mat can be found at on Twitter or LinkedIn. Mat recently spoke at the AWS Summit in Sydney. Here is a copy of his speech if you would like to listen here.